75 King William Street office rental is located near Monument tube station and has a variety of other tube and train stations to choose from in the area. Office space within this impressive building can be configured to a specification and are available in various sizes which are ideal for small, medium or large organisations. 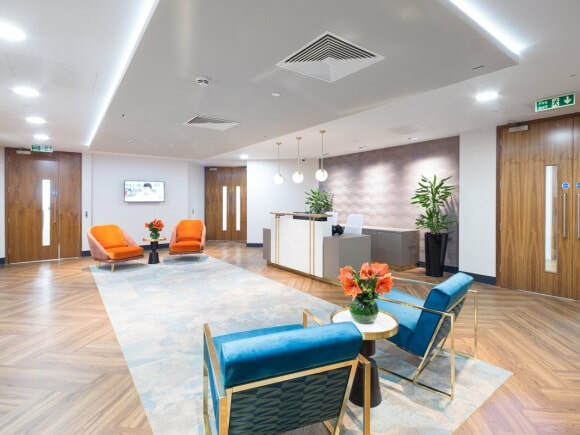 Benefitting from a professionally staffed reception, this serviced office for let is fully furnished and ready to occupy at short notice if needed. Internet and telephony access is in place and digital call handsets are supplied. Let term agreements start from 3 months and extend to 12 months. There are also a good selection of meeting rooms to hire within the property to hire.